4/20 it’s going down at The Kingsland In Brooklyn. Contact me for tickets or click on the picture for online ticket sales. The AXE is family tour is hitting Amityville. I’ll be ripping the stage on this stop. Click the picture for tickets. I was just added to the lineup for Necro’s show at the Kingsland in Brooklyn, NY! Click the link for tickets or send me an e-mail. 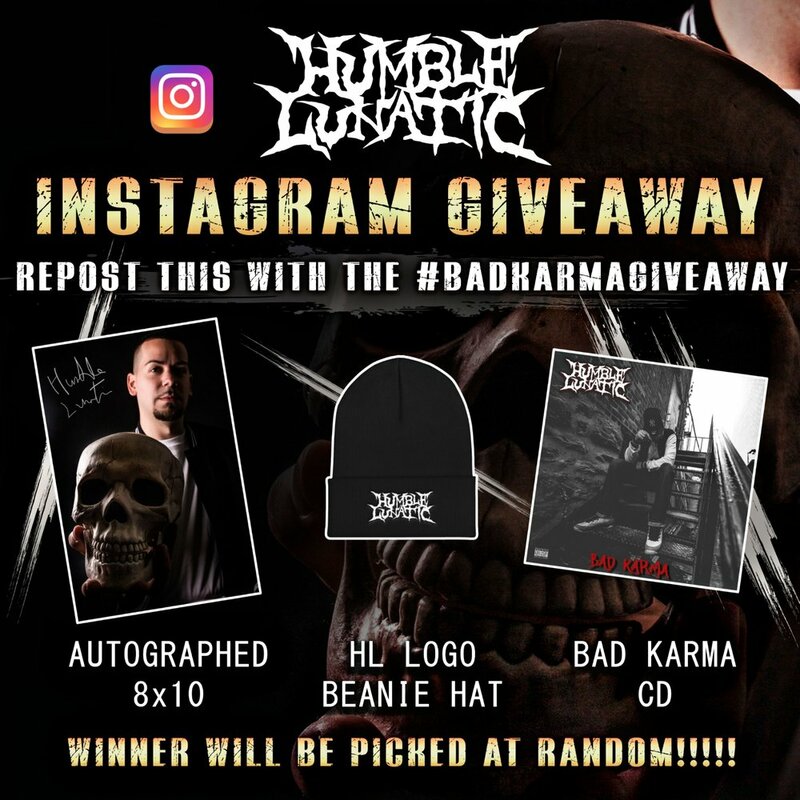 Head over to my Instagram page @humblelunatic to enter the Bad Karma Giveaway to win free merch from my shop! Winner will be announced December 7th 2018. Underground Nation Magazine formerly Horrorcore Magazine Presents The first "Murder The 90's Mixtape" in the series! The Murder the 90's Mixtape is a collection of some of the best Horrorcore and Underground Artists in the scene today. Buy all UGH Merch at: http://undergroundhustlin.bigcartel.com 0:00 1. The R.O.C. - Intro 0:42 2. Amnesia (301 King) (feat. Intrinzik, The R.O.C. & Monoxide) - Hate Amongst Men! * 3:48 3. DieNasty The Mexican Thuggalo (feat. One Point Rizz, The R.O.C. & Intrinzik) - Incredibly Credible! * 7:39 4. Magadino the Chemist (feat. Teaser Trailer for Creature Music Video releasing 10.31.18! Shot and Edited by Zoilo of Real Muzik from the 2018 album Bad Karma available now!! I'm Headlining my own show for the first time!! Email Matthew Barrows for tickets. VIP Packs available too. I'll be performing at this years Gathering of the Juggalos on the Pendulum Stage. Click the picture for details!! Bad Karma is available on ALL digital platforms NOW!! 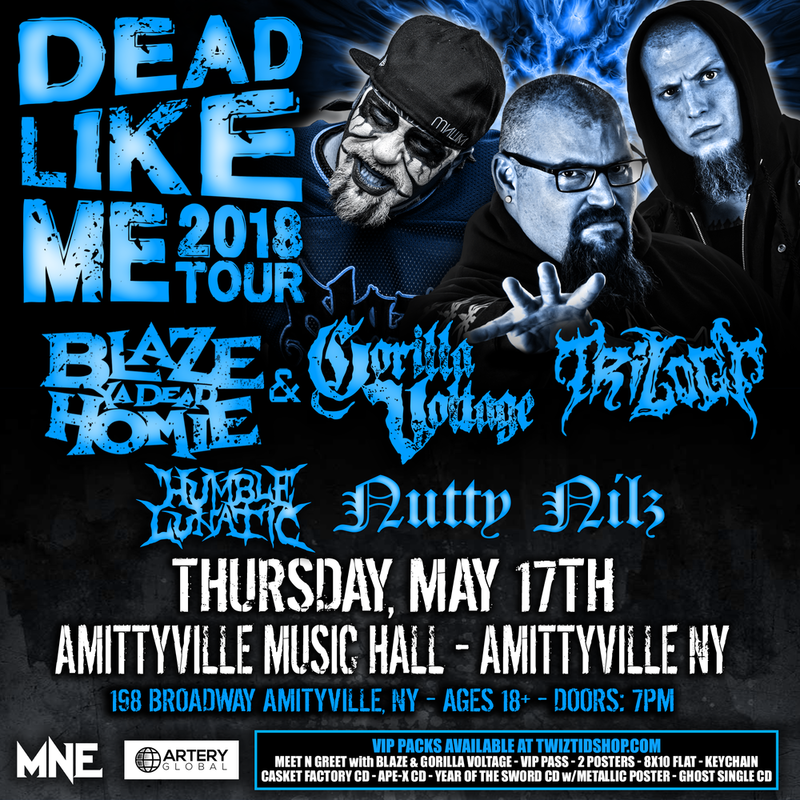 Come see me on that Blaze and Gorilla Voltage Dead Like Me Tour in Amityville, NY. Click the flyer for tickets. I'll be performing live for Detroit legend Esham on March 15th in Brooklyn, NY. Click the image for tickets! I was just added to the Catastrophic Event Specialists Tour Show in Brooklyn - Click image for tickets and details. Click the picture to Pre-Order the Majik Ninja Underground Tarot Deck today!! I'll be opening for Whitney Peyton's Headlining 2018 Tour in Brooklyn, NY!